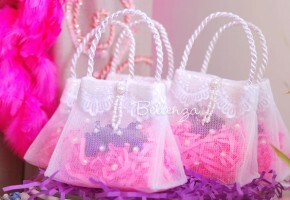 Bag opening is about 2”. 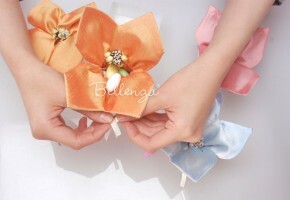 Carefully constructed of silky satin fabric. 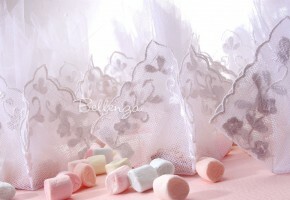 Delicately embellished with hand-rolled organza and satin roses. 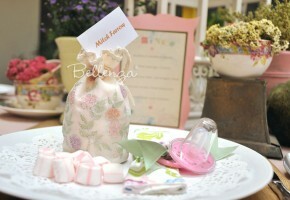 Popular for baby showers, baptisms, and tea parties. 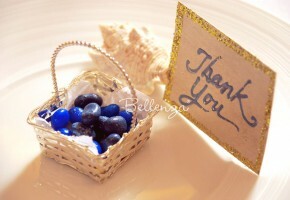 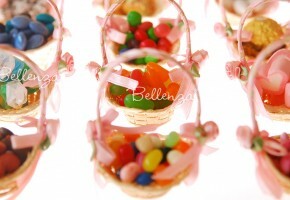 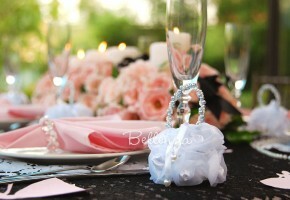 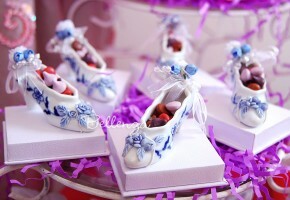 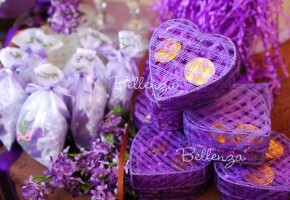 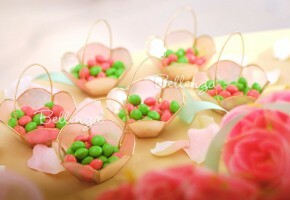 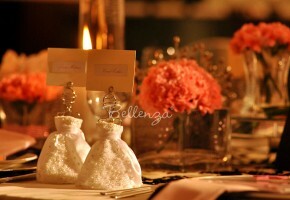 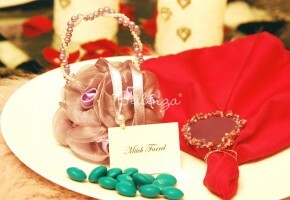 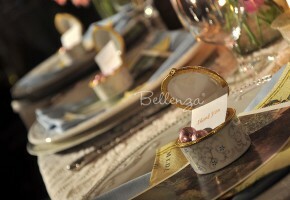 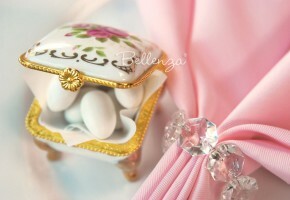 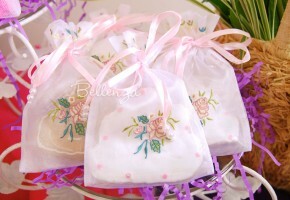 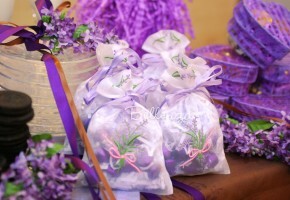 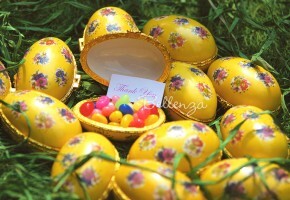 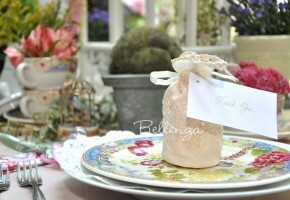 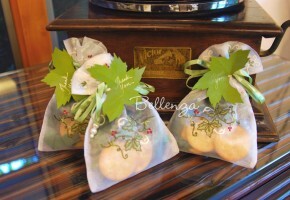 Can hold small wedding candies like Jordan almonds, mints, or caramels.